Don’t let their sneaky name fool you. 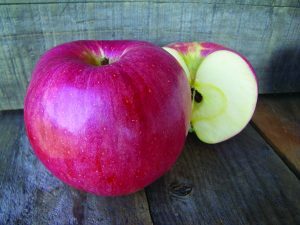 The Spy is a traditional Yankee pie apple with a distinctive tart flavor, enormous size, and delicate skin. Pro tip: For all their bluster, a Northern Spy is a sensitive apple that bruises easily. Apples picked gently will keep in a cool place until Thanksgiving pie time.